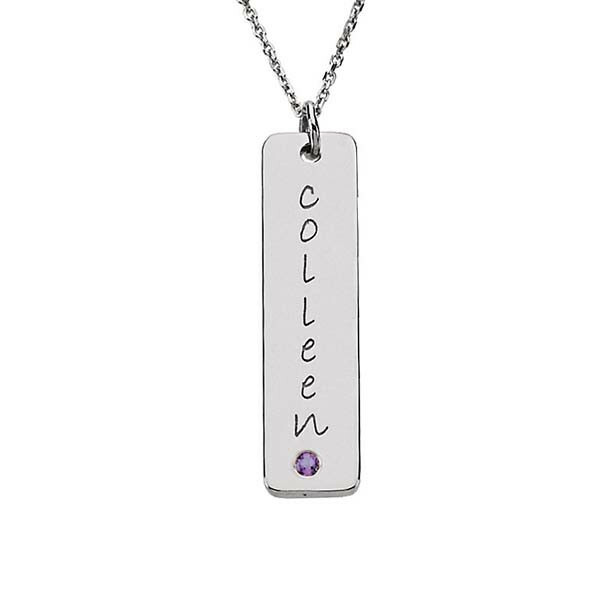 A tall, terrific tag awaits your purchase for personalization in this pendant from Posh Mommy. The sterling silver piece of jewelry features a simulated amethyst gem, the birthstone for February, along with room for you to engrave a name or date up to eight characters long. This pendant may be simple in style, but it has sentimental staying power! The chain is available for separate purchase.